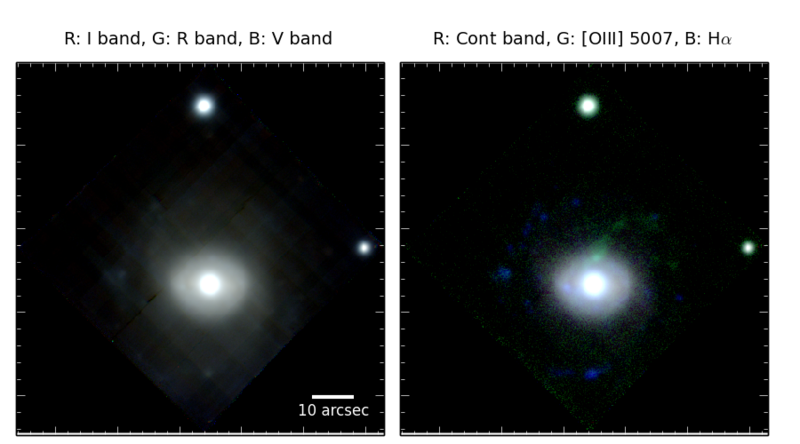 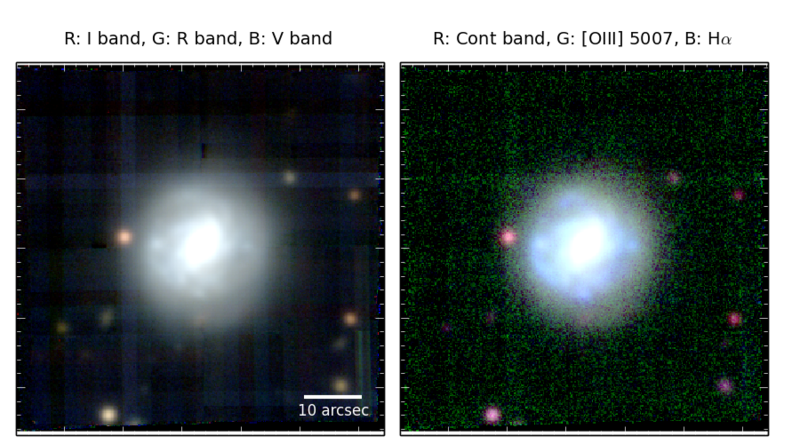 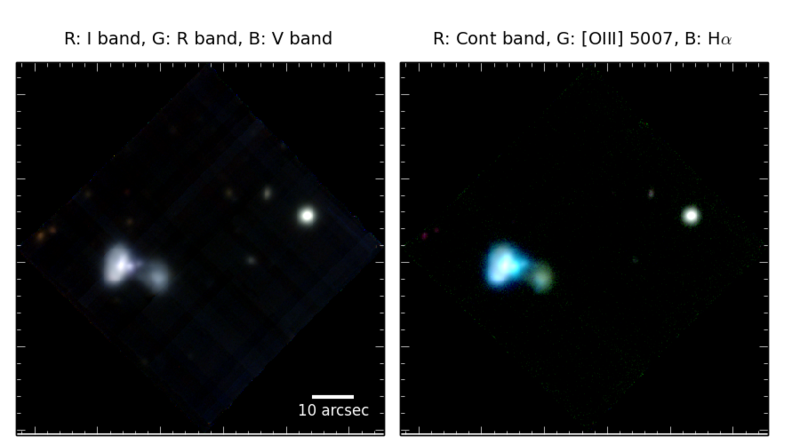 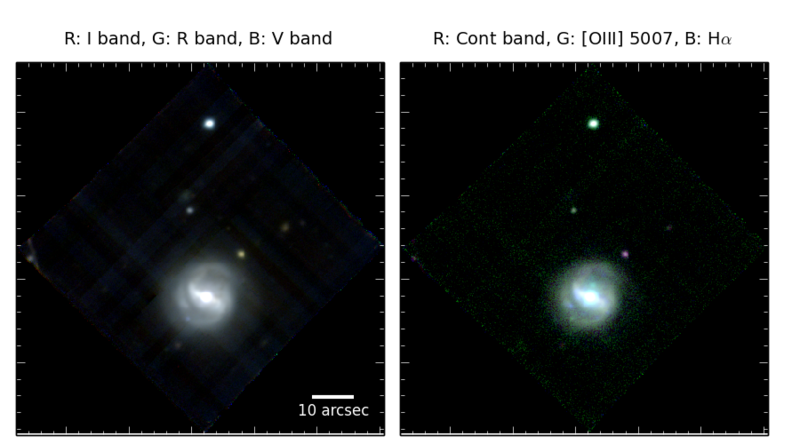 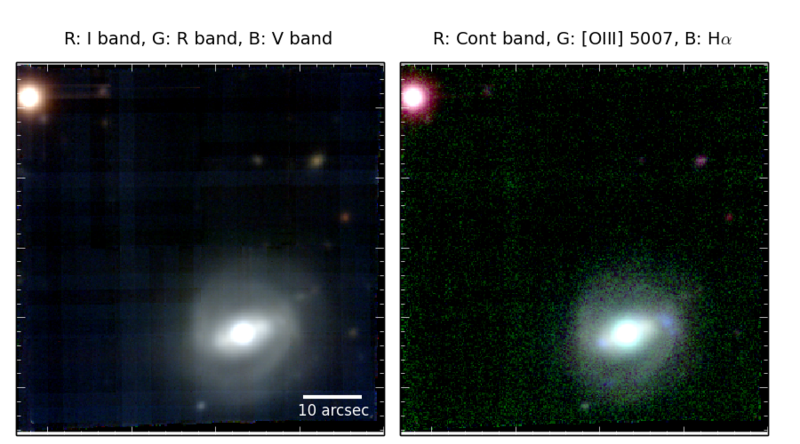 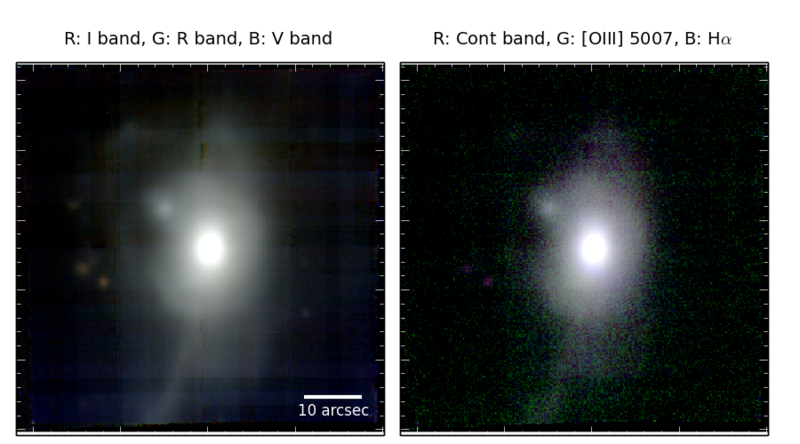 We employ MUSE's unique capabilities to observe all AGN host galaxies of our CARS sample in a snapshot survey mode. All galaxies are smaller than the FoV to avoid dedicated sky field observations and all spectral feature from Hbeta to the Ca Triplet stellar absorption lines are covered. 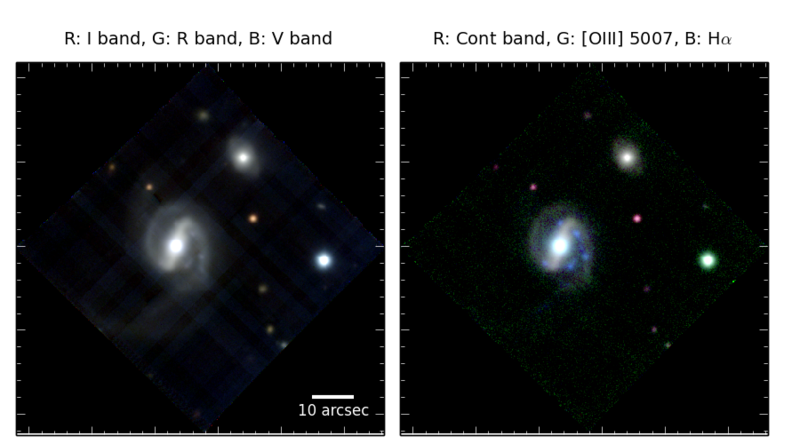 With the efficiency of MUSE we only need 5min up to 20min on source observing time to reach sufficient S/N for extended emission lines and the stellar continuum of the galaxies. 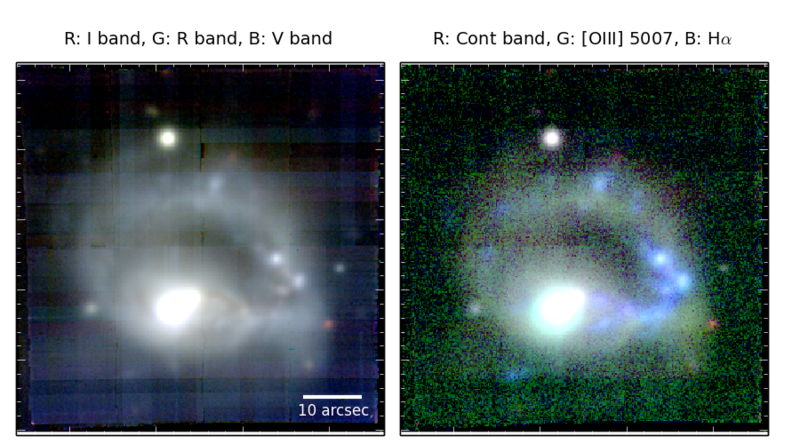 The MUSE data is truely one of the cornerstone data for CARS. 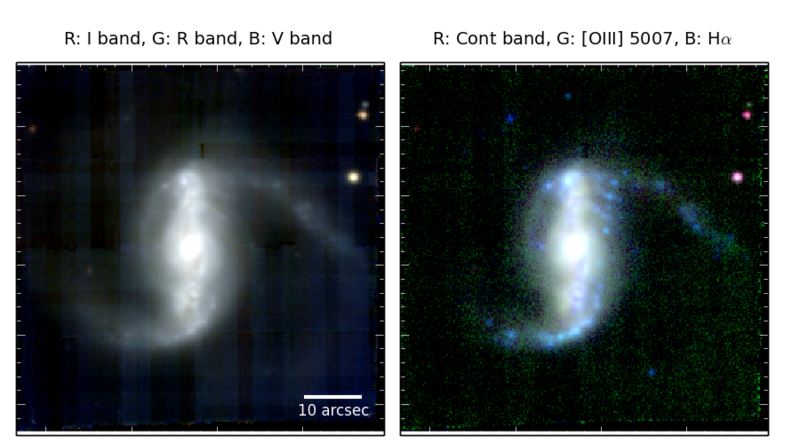 The large range of diagnostics from emission-line ratios, stellar and ionized gas kinematics allow to characterize the kinematics of the systems, the current star formation rate, BH mass and Eddington ratios for all galaxies in our sample. 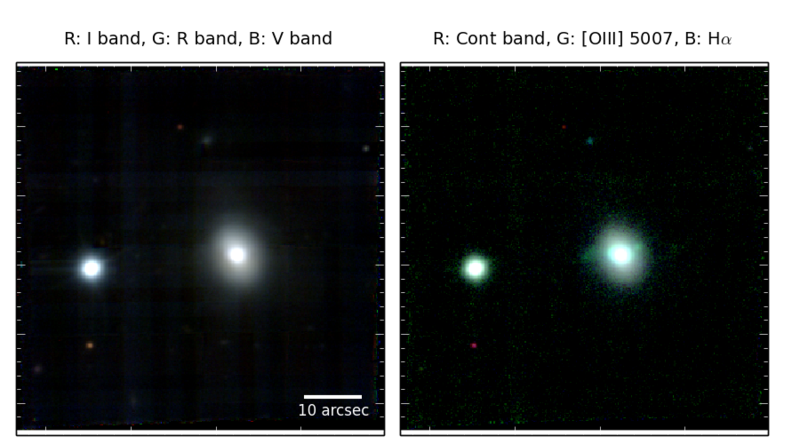 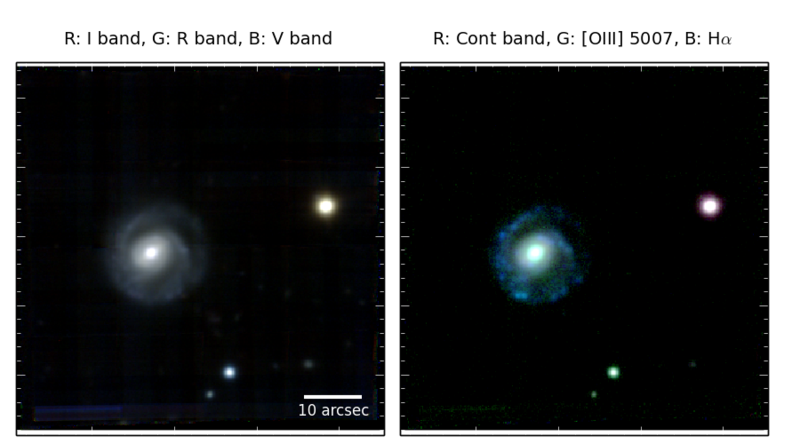 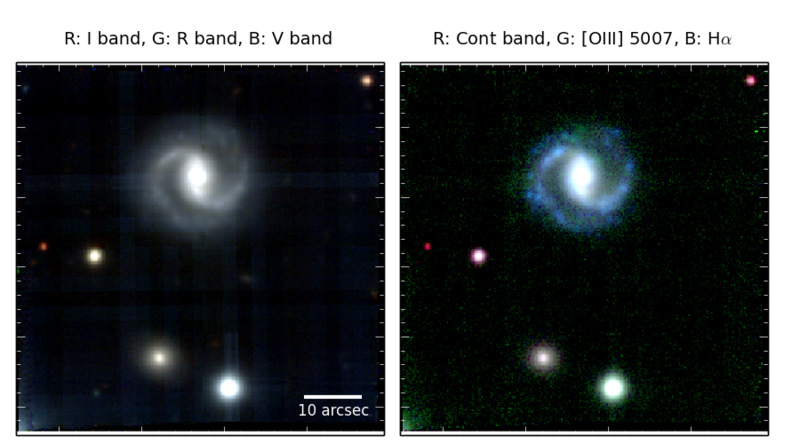 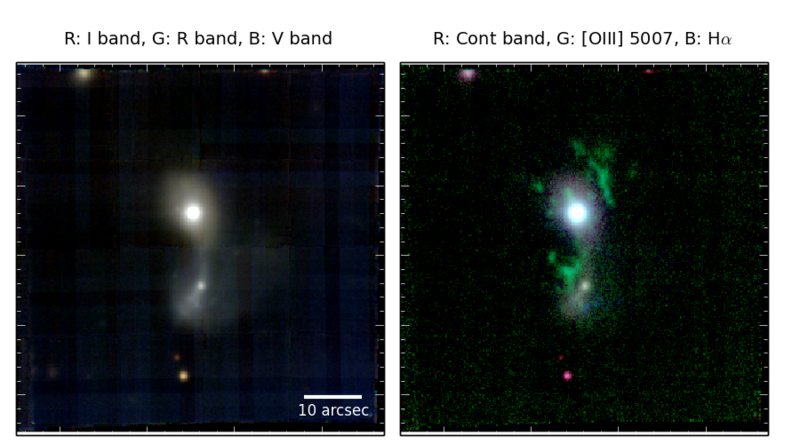 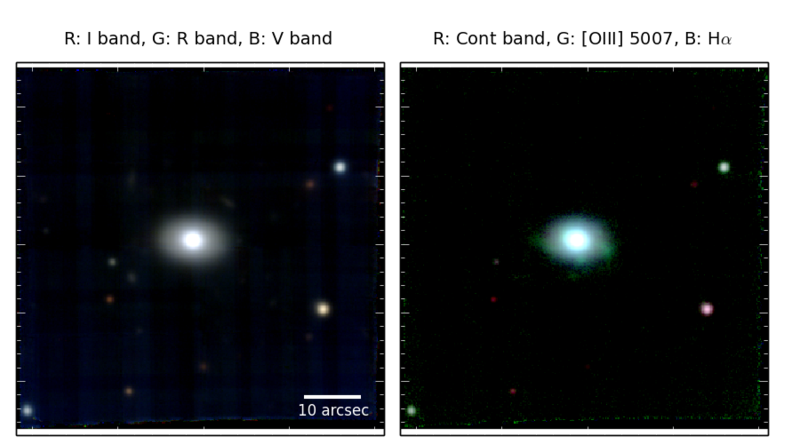 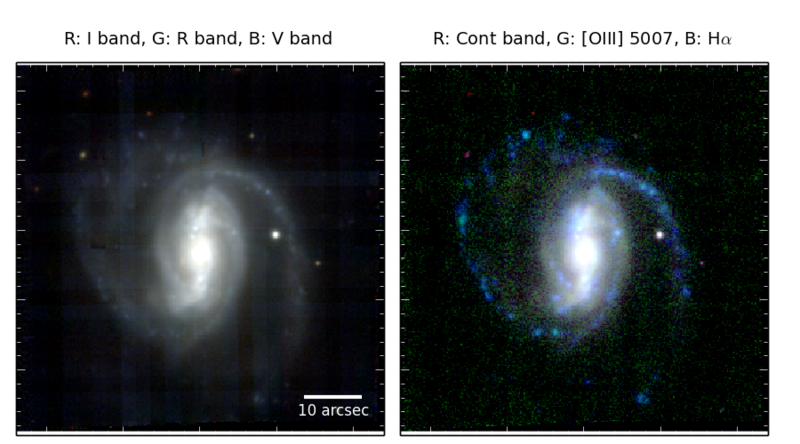 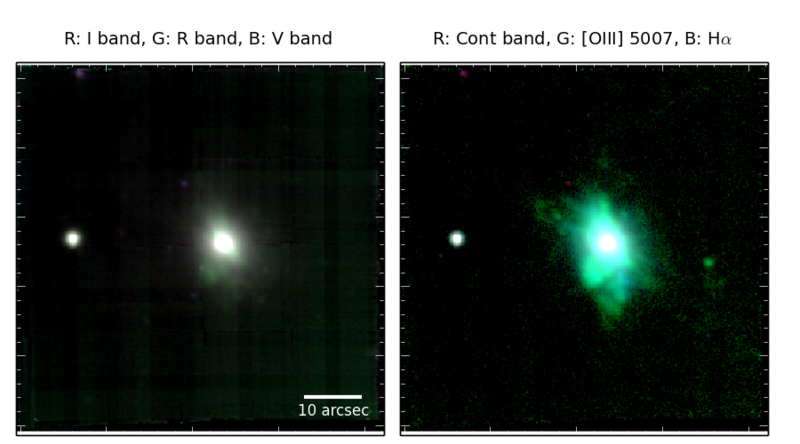 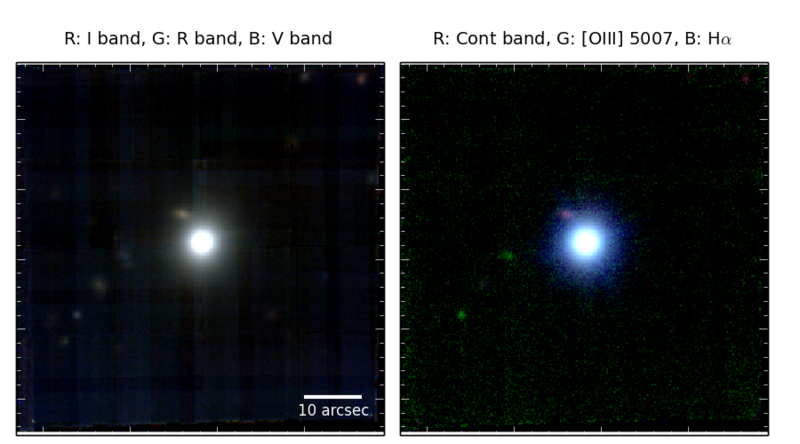 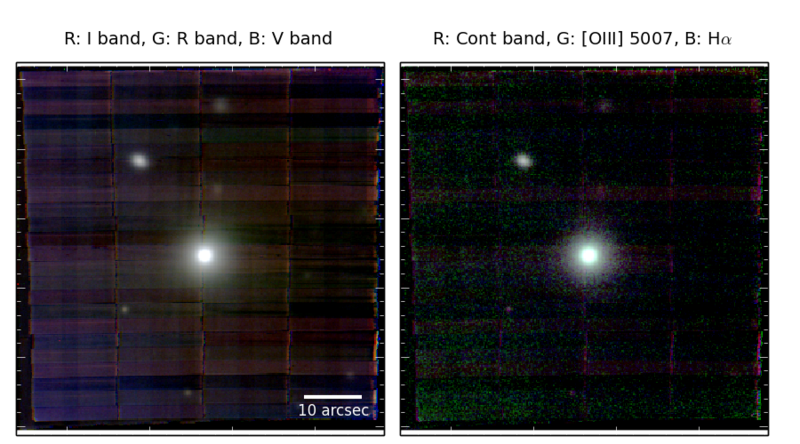 The slideshow below shows a VRI broad-band color image and a Ha/[OIII]/I composite color image and the 3" coadded central spectrum for each target already observed with MUSE.